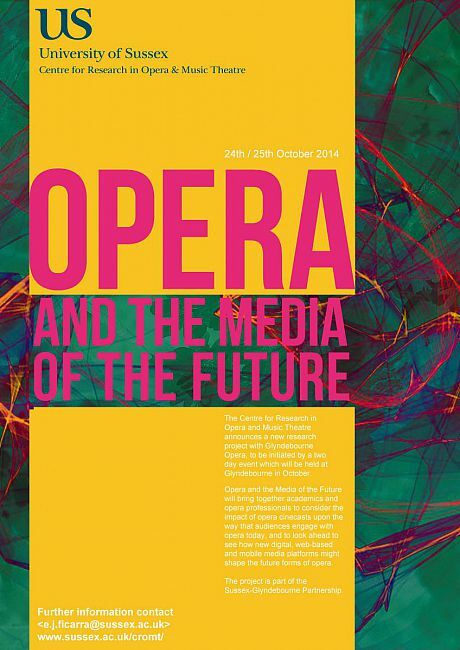 As part of the Opera and the Media of the Future (OMF) research initiative, the Centre for Research in Opera and Music Theatre (CROMT) has commissioned two ‘mini web operas’ to be hosted on this website and presented at the two-day event at Glyndebourne in October. The original call can be seen here. Applicants were invited to re-imagine opera for the web, and consider the following questions: What does opera ‘mean’ on this scale and through this medium? 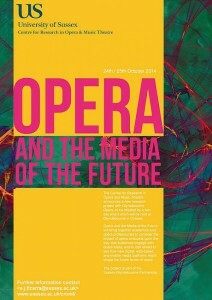 How can the composer/media artist engage an operatic audience? What is the work’s relation to the ‘live’? You Are Here by Jaakko Nousiainen (director) and Miika Hyytiäinen (composer). Now online here. RUR-Rossums Universal Replicants by Martin Rieser (electronic/interactive artist) and Andrew Hugill (composer). Now online here. The panel also wished to commend proposals from Elizabeth Swift, Jasmin Rodgman and Pietro Dossena. Further details about these projects are available here. The winning mini web operas were launched at the OMF event at Glyndebourne on October 25th and have now been published on their own REFRAME websites (links above).